Mark Zuckerberg said during an earnings call Wednesday that the company is making progress with "core services" such as search across more than 2.5 trillion posts in the network. "Now people are doing more than 2 billion searches a day between looking up people, businesses, and other things that they care about," Zuckerberg said. "Continuous steady improvement in services like search are an important part of helping people connect and realizing our mission." During the first phase of Facebook's search strategy, the company focused on its semantic Graph Search engine. 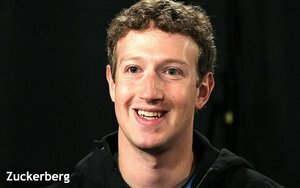 Now Zuckerberg says Facebook sits in the "second phase" of the company's search strategy, where navigation remains key. "One of the big growing use cases that we're investing a lot in is looking up the content in the ecosystem, and that is an area that we're very excited about, which helps people find more content," he said during the earnings call. Future plans could include analyzing human behavior around each search, he said, finding ways to monetize what he calls commercial intent. This means adding paid-search ads that consumers site visitors with businesses or publishers. While Facebook has focused on News Feed ads, the need to analyze behavior and connect consumers with brands will no doubt lead the company to focus more intently on building out search ads, which it has dabbled with in the past. Some 1.7 billion people now use Facebook monthly, and 1.1 billion people use it daily, Facebook reported during its second-quarter 2016 earnings call Wednesday. The numbers blew away analysts’ estimates, with 59% growth to $6.4 billion. Advertising revenue rose 63% to $6.2 billion, and 84% of ad revenue from mobile. Overall, the company saw more than $2 billion in quarterly profit. It may take Facebook years to catch up with Google and become a real threat. In 2016, Google will remain the dominant player in worldwide search ad spend, according to eMarketer. The research firm estimates Google will take $47.57 billion in search ad revenue in 2016, or 55.2% of the search ad market worldwide. And while Google takes the lead in search advertising, it takes a back seat to Facebook in display ad revenue. eMarketer estimates Facebook will generate $10.23 billion in display ad revenue worldwide this year, or 12.3% of total display spending.